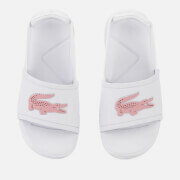 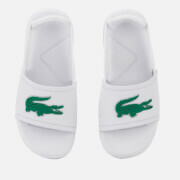 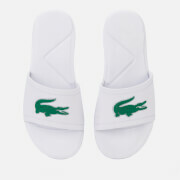 Kids’ Lacoste slide sandals with the brand’s iconic crocodile logo embossed on the strap. 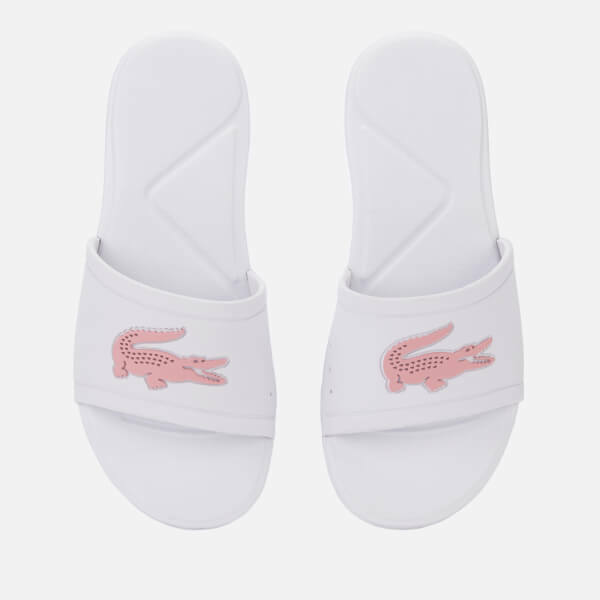 Inspired by tennis club resorts, the child-sized ‘L.30’ slides have a water-repellent design which is ideal for splashing by the pool or on the beach. 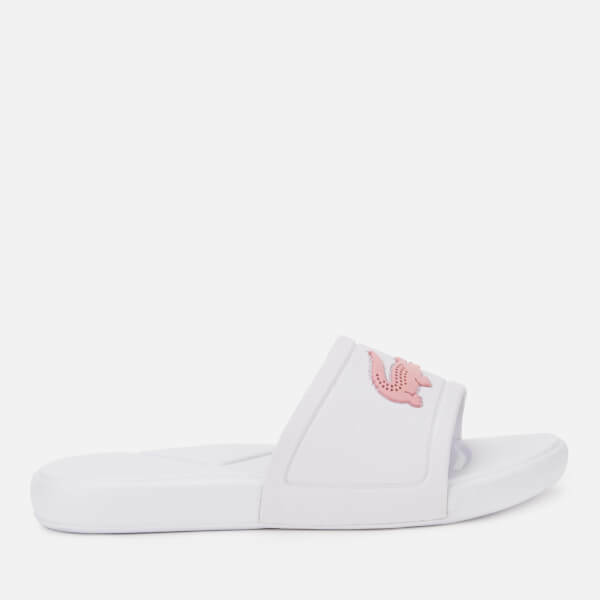 A textured outsole provides extra grip. 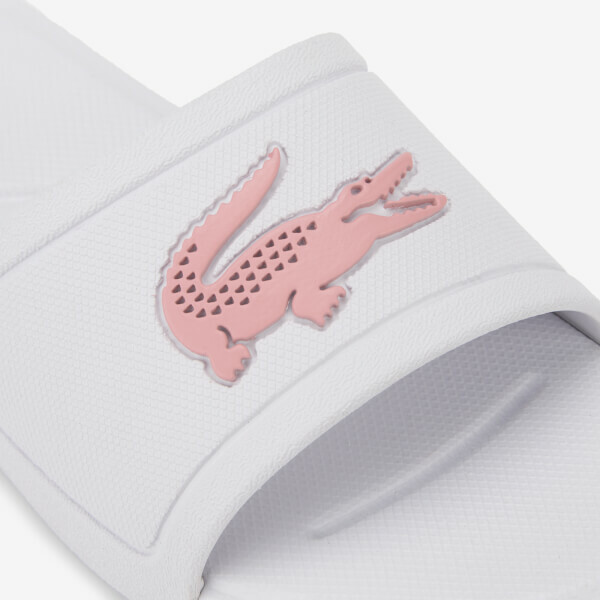 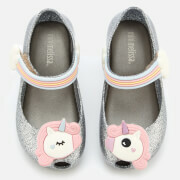 Finished with breathable eyelets on one side of the strap.